This cat came from my imagination, like a cartoon hero. 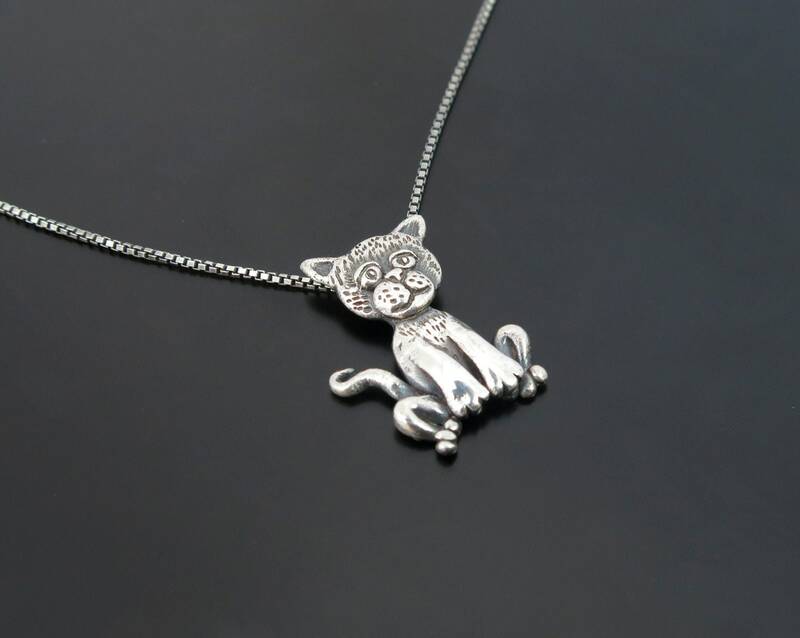 It is unusual cat, it has feelings and thoughts, this pendant is not for decore only, but it comes to express your mood and be a part of your world. I love to make jewelry with meaning, jewelry that you can charge with any energy and it will serve you for a lifetime, just like your friend. This pendant is silver 925. Oxidised to pick up the structure and give an interesting look. Cat angel jewelry is OOAK artwork. Materials: Pendant, chain, jump rings, and clasp are 925 sterling silver, the wings are goldplated.